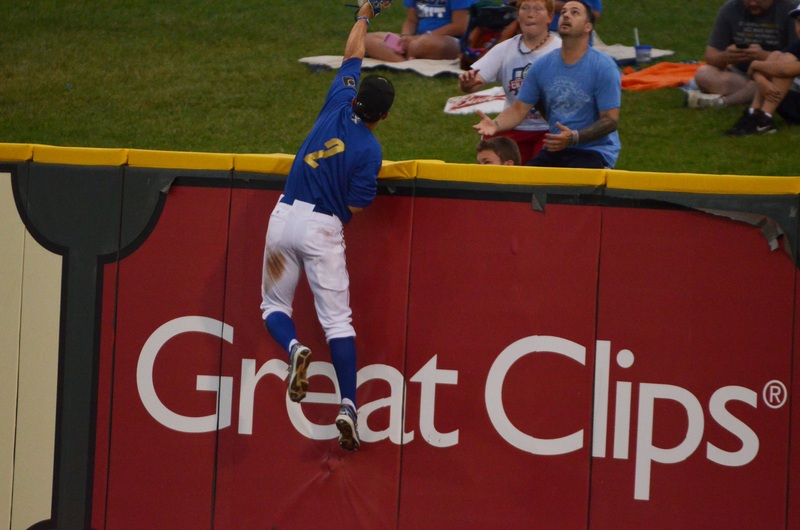 Telli jumping for a home run ball to try to preserve Omaha's 1-0 lead in the 5th. ….because if I had gotten all of Anthony Seratelli in the frame, this would have been a pretty decent picture. Sigh. Actually, it’s a great photo. It tells a story. Look at the faces of the people on the other side of the fence.